Want to transmogrify? Turn into a bat, a bird, or a dragon when you fly? Have you ever wanted to be a kid, like Calvin, and invent a transmogrifier? The transmogrifier is an invention of Calvin's that would turn one thing into another. 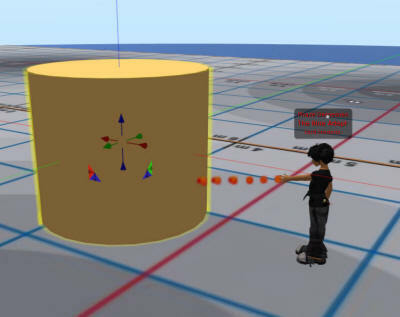 It looks like a large cardboard box, which we have plenty of in OpenSim. This easy-to-make Transmogrifier will switch you into an animal when you fly and back again to your usual abnormal self when you land. 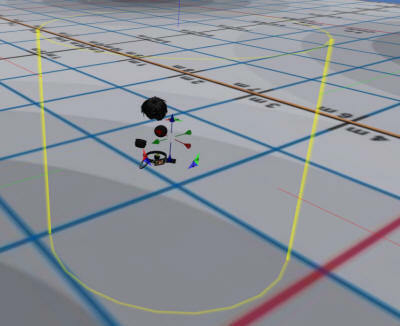 This is a simple project to make, requires very little scripting knowledge, and works in OpenSim, but it will not work in every case because it uses invisprims. Results are going to be just like when Calvin does a transmogrify: erratic. Transmogrify results will vary! But it is a useful technique for machinima and special effects, so in spite of the limits, I am posting this technique. Various viewers treat invisiprims differently. They will block water and anything with alpha in it. Trees will disappear. Alpha-based wings and other things may disappear when surrounded by the Transmogrifier. I've had some luck in making small pets - such as an egret - float above my (invisible) head outside of the transmogify field. Other alpha things work differently, such as playing a flapping wing animation with llSetTextureAnimation ( it works). Different versions of viewers and different GPU cards will render avatars using different stack-ups, and this is all going top depend on where you are flying around, too.. Different video cards also render differently. Setting advanced lighting model enabled on a Nvidia-based Geforce fails to work, but this button is not in the Viewer 2 on a ATI video card, and so it works there. 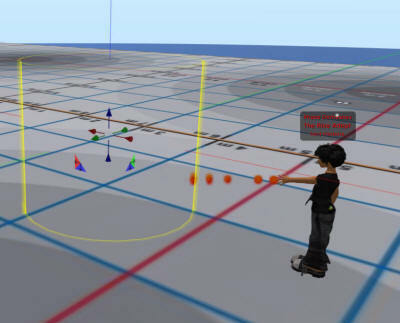 Second Life and older OpenSim viewers will also work a bit differently, with better results in older viewers. Make a large box, preferably a box or cylinder. Add the script "Transmogrifier" to this prim. You can get all the scripts in .LSL format from my library at this link. LSL is a text format. Just save it to disk, open it with a text editor, and copy and paste it into a new script in the Object tab. The prim will turn invisible and become phantom, so you can walk through it. 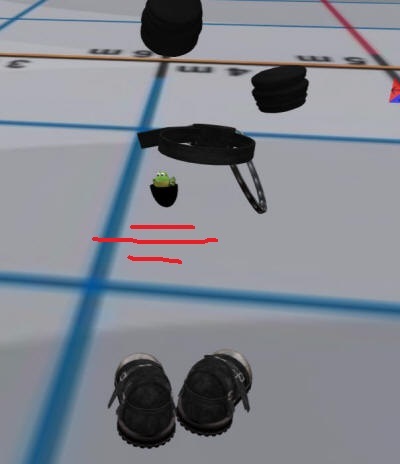 Walk into the prim and adjust it's size and shape so it covers all of your avatar. Any prims that you are wearing will remain, such as hair. There will likely be prims that you are wearing that are still visible. In my case, this is my boots, hair, belt and cuffs, and of course, my always-present pet froggie that Waving Girl gave me a long time ago. Edit each prim that is still visible and add the "Accessory" script to each prim Content tab. As you do this, each prim will disappear. Repeat until you can walk into the large invisiprim and you are totally invisible. Take the Transmogrifier into inventory and attach it to your pelvis for best results. Adjust it so your avatar is covered along with some space to the sides and bottom. Now fly up in the air and land. You should disappear.When you land, all your accessories and your avatar will re-appear. Keep flying around, and adjust until your hands and arms and any clothing that flaps out of the transmogrify field are hidden when you flay. Step 4: Turn into a... uhh. ... ahh .. a Dragon! Rotate your pet or butterfly or bodacious Dragon so it faces forward and it is standing on the ground. You can also attach it to your head, or spine. For the least movement, attach to the spine. For realistic landings, a foot will do. When it is on your foot, the 'pet' will appear near the ground when you make the switch. When you land, the butterfly/dragon will touch down on the ground, and you will appear in its place. 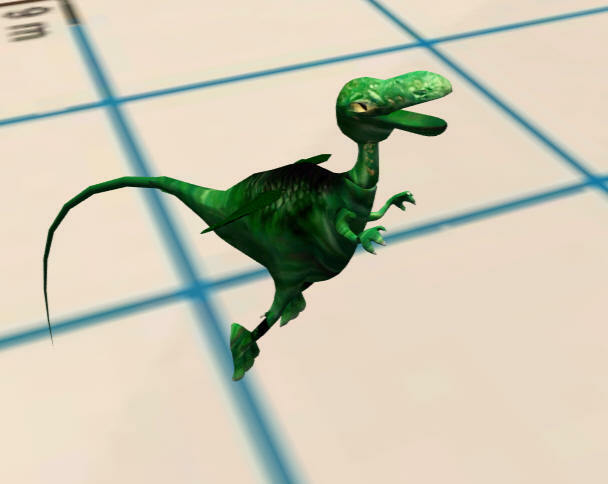 If your pet has 'alpha' prims in it, the only solution is to put attach to your head and put it outside the transmogrify field. Edit the butterfly, dragon, bat, or whatever it is, and add one last script, the 'pet' script. It should immediately disappear. But no worries, all you have to do is fly to get it back. Now fly up in the air and your avatar will disappear, and your ferocious dragon can now swoop down and terrorize the neighbors. 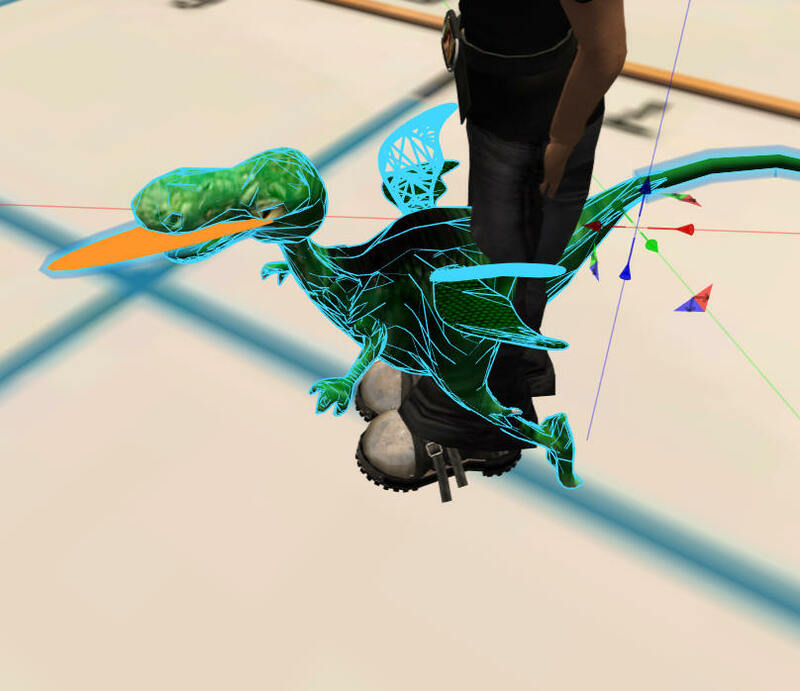 The Transmogify prim changes between an invisiprim and a 100% alpha prim whenever you fly. This hides or unhides avatars. It also speaks on a owner-specific channel whether you are flying or not. The prim and pet scripts hear this message and change all the prims from visible to invisible. p.s. Pics or it didn't happen! send me pics with a SL or OpenSim name (or anonymously) and I'll post 'em with any comments or links to you blog or marketplace.